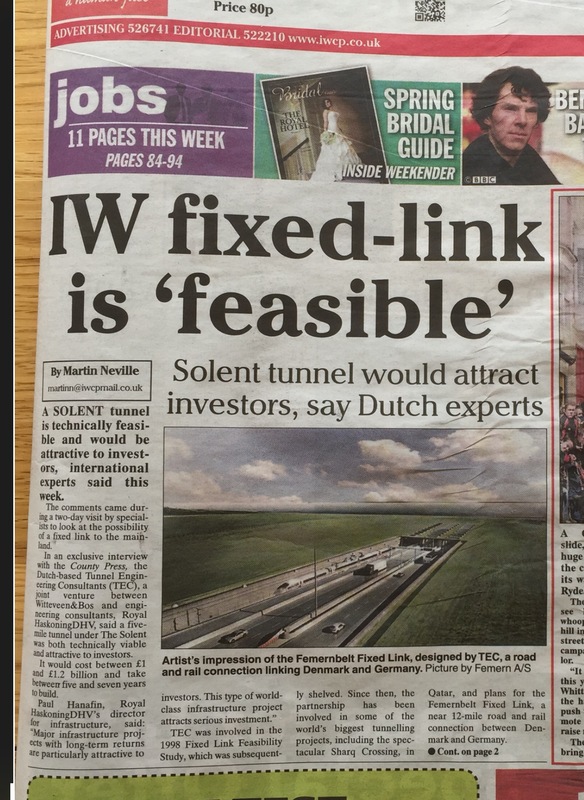 During April 2015, a two day visit to the Isle of Wight by tunnelling experts from TEC-Tunnel and Royal Hastening DHV confirmed that an IOW Fixed Link Tunnel is very feasible to construct and also a very attractive proposition to investors. Once a Fixed Link Study has been procured by the DfT in order to make it fully independent, investors will be able to see project commitment from central government and then come forward with tenders, to construct and manage. This time though the tolls will be regulated, as it will be governed by contract under the “British Highways Network”. 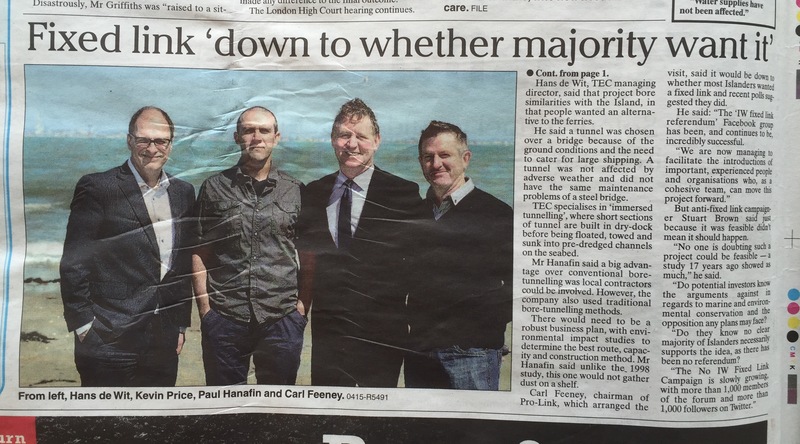 At present the ferry fares are unregulated and demand driven…. changing day by day and hour by hour.